It was only last month that we launched our new evening courses at our schools in Paris and Auckland. We’re now happy to announce yet another centre for our evening courses. From March we will be running evening English classes at our London Central school. We’ll be offering two types of courses: English Fluency for Work and English for Exams. As with our other evening courses, these classes are primarily aimed at attracting students who, due to work or study commitments, are unable to attend our daytime courses. Our English Fluency for Work will cover general English and workplace communication skills. The course will be flexible based, on the needs of our students. We understand that people in different workplaces will use their language skills in a variety of ways; an office worker for example may need to develop their written skills to reply to emails whereas someone working in a customer service role will want to focus on their oral communication. So whereas some of the course will follow the same structured syllabus , elements of the course can be adapted based on students’ interests. The English for Exams will include some general English but will in addition prepare students for the Cambridge Exams (FCE & CAE), IELTS and TOEIC exams, all of which can be used as proof of English language level if you are intending to study at an English speaking college or university. The courses will run for 10 weeks, although students can also choose to book for shorter two week or four week periods. 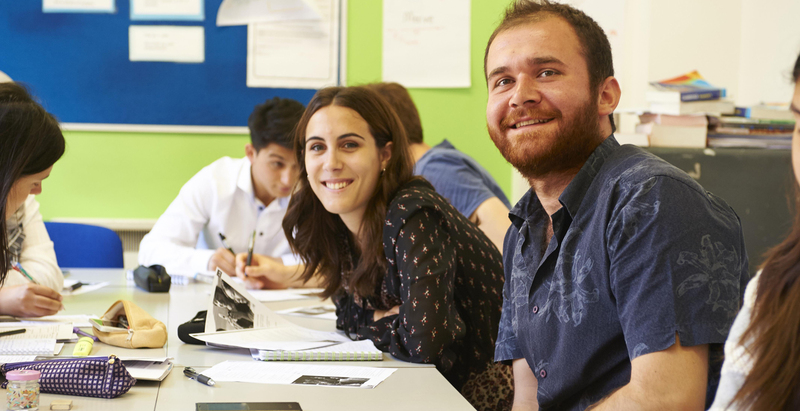 Both courses run over two weekday evenings, 2 lessons per evening: English Fluency for Work is offered on Mondays and Wednesdays from 18:30 to 20:15, English for Exams is offered on Tuesdays and Thursdays from 18:30 to 20:15. For more details about starting dates and prices go to our London Central Evening Courses webpage.